We love our horses so it’s only natural that we’d be interested in how people of days past felt about their trusty mounts. There are museums around the globe dedicated to our large four legged friends & we’ve compiled a quick list to have them in one place. There are a number of respected museums that feature equine exhibits, but today’s list is dedicated to those who revere the horse full-time. This list isn’t complete by any means, we’re sure there are more to be discovered. If you know of a horse or equine museum that we don’t have listed, please leave it in the comments below. We’d love to check them out & we’re sure readers would as well! If you are a fan of the arts, be sure to check out our extensive horse art collection. This entry was posted in Horse Basics on May 28, 2011 by The Equinest. isn’t the Australian Racing Museum closed down??? The Westphalian Horse Museum in Muenster / Germany exists since 2002. It is a modern museum on the natural and cultural history of horses -from evolution via working horses to the heroes of sports. Additionally temporary exhibitions are focussing on special topics, like our current exhibition on the history of horse racing which was realized in cooperation with the National Horse Racing Museum in Newmarket. We have also a space for horse-shows and close to the museum a horse park with horses and donkeys enables the direct contact to the living animal. The Westphalian Horse Museum is located inside the Zoo of Muenster. This combination of museum and zoo attracts many visitors and is a great success. I also would like to create a network between all of these horse museums, especially in Europe. The goal: Exchange of experiences and the exchange of temporary exhibitions or loaning or lending exhibits from each other. 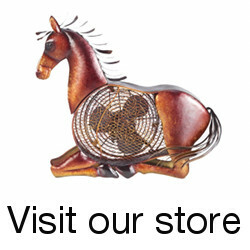 You did a great job in collecting horse museums all over the world and present them online. Museum of the Horse Soldier is one of a few museums dedicated to preserving the history of the U.S. military’s mounted services. Visitors to the museum can explore the history of U.S. horse soldiers and their roles in times of peace and conflict during the 18th – 21st centuries. The Museum of the Horse Soldier offers a unique opportunity to discover and explore military history through informative and engaging exhibits, featuring many rare and one-of-a-kind artifacts. 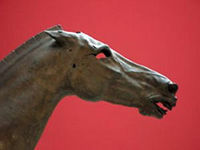 The Museum of the Horse Soldier continually has over 2,000 objects on display. Displays are periodically changed, allowing visitors to see different items from our larger collection. The museum also houses an expanding archival collection including historic photos and paper ephemera items. The museum’s archive is available to researchers by appointment. Please add us to your website to get the word out about this museum that opened in December 2012. We are located in Tucson, Arizona. Thank you!